There’s absolutely loads on in and around London this Easter. We’ve selected a few of our favourites for you to enjoy. 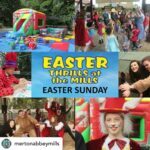 Celebrate Easter Sunday at Merton Abbey Mills. There is a whole host of fun things to do. As well as the traditional Easter Egg Hunt, there’s also live music, bouncy castles, arts and crafts activities, puppet shows and more. An All Activity Pass is £5 which you can buy on the day. A fabulous family day out and it won’t break the bank! 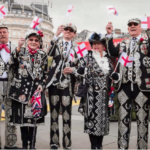 Head to Trafalgar Square on Saturday 20 April for a feast of fun activities celebrating all things English. Trafalgar Square will turn red and white in honour of England’s national day and our patron saint St George. There’s music, dancing, an English Food Market and an artisan craft market as well as a Family Zone where you’ll find vintage rides and a Knights Training Camp. Children can learn all about knights, have their faces painted and take on the Dragon’s Quest. They can also meet some baby dragons in the Dragon’s Nest. They don’t bite, we promise! Come and hear the story of England’s patron saint in our Dance and Storytelling tent. Discover London’s hidden dragon’s in St George MythBusters with Hazel Baker from London Guided Walks. You can also meet, Dragon Expert, Julius Drake as he shares his adventures in Dragon Tales. 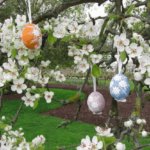 The National Trust are running their annual Easter Egg hunts across their venues (1-28th April). We highly recommend Morden Hall Park and, if you’re willing to journey a bit further afield, Claremont Gardens. It’s £3 a child. Look out for the signs of spring and share fascinating facts about wildlife, as you search for clues and solve puzzles. Each child receives a decent sized Cadbury’s easter egg at the end. Head down the A3 and spend the day in the beautiful surrounds of Wisley. 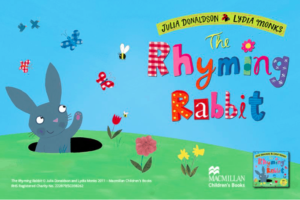 This Easter (6-22 April) you can follow the Rhyming Rabbit Trail around the gardens, add your own rhyme to the giant poetry wall and enter the illustration competition. There are also a whole host of daily activities including storytelling, crafting, and face painting. If the weather’s warm take a picnic. 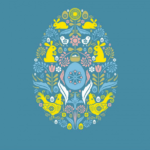 Just down the road and accessible by public transport celebrate Easter with a trip to the Horniman Museum. 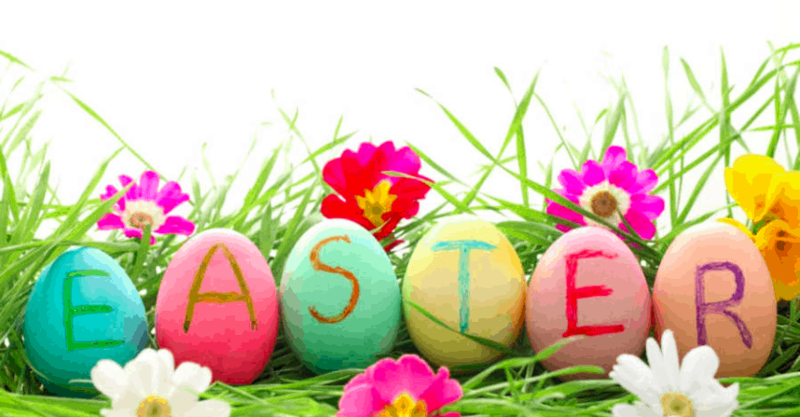 They are hosting an Easter Fair on Easter weekend (20 and 21 April). Follow the Easter trail, enjoy some family-friendly theatre, join a creative workshop or dare to venture through the rabbit hole for a special storytelling performance inspired by The Hen That Laid The Golden Egg. Hop over the river for some detective work at Fulham Palace. 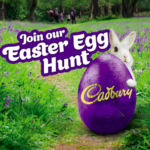 Their Easter Trail will make for a fun-filled time for all. Hunt through the beautiful building and gorgeous garden for clues to solve the puzzle and claim your prize! This event will run from 6-22 April and best of all it’s FREE! 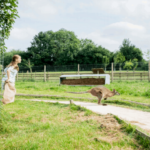 Enjoy some cracking good fun at Hobbledown Farm this Easter. Throughout the holidays (April 8 – 23) they have an action packed line-up to keep the whole family entertained. 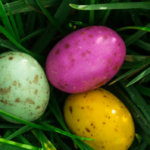 For Easter weekend itself [Good Friday to Easter Monday 19th to 22nd] come along and enjoy a family Easter Egg Hunt, puppet shows, arty activities, animal feedings and more. All activities are included in your general admission fee.